NET are an authorised distributor & repair centre for Nord In-Line Helical Gearboxes. 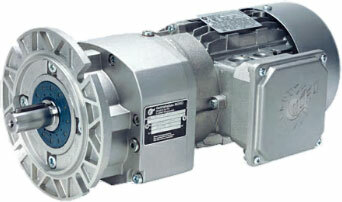 For the last 45 year years Nottingham Electrical Transmissions have been repairing and supplying Nord gearboxes. This is why Nord have chosen us to be their official repair centre. All our repairs carry a twelve months parts and labour guarantee. We also offer free collection & quotation from anywhere within the UK. We currently hold large stocks of units ranging from: 0.18KW to 4.0KW, 25rpm – 250rpm. The NORDBLOC is fully interchangeable with other European brands. It offers the same dimensions as many other manufacturers:- SEW Eurodrive, Flender, David Brown, Fenner, Bonfiglioli. Nine sizes are available in all, ranging from double and triple reduction design, available as foot or flange mounted units.These drives cover the power range from 0.12kW to 37 kW with torque capacities of 90 to 3.200 Nm. Consistent development has created a new drive range which offer the user compact size and increased power density. 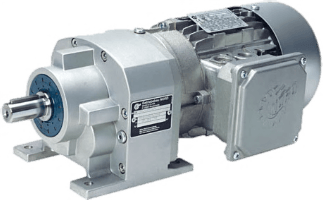 The NORDBLOC gearboxes comes with reduced backlash as standard. The Nordbloc can be built and ready for collection or delivery in 2 hours. NET are also the official repair centre for Nord Gearboxes. We have the experience, capacity and support to service or repair any Nord unit. Holding large stocks of service kits enables us to repair your unit quickly & effectively. Full operating instructions can be found on our downloads page.